Wincanton Racecourse's Children's Day on Sunday 21st April looks set to be buzzing, with hundreds of children expected to take advantage of the family orientated race-day that provides complimentary entry to children 17-years and under when accompanied by an adult. A variety of entertainment is guaranteed, starting from midday with Yeovil Dog Agility performance, followed by a parade of the champion Wylye Valley Pony Club Racing Ponies - all taking place in the Parade Ring. There's also the inaugural Wincanton Donkey Derby run over one furlong and, back by popular demand, are the Children's Trust sporting mascots who will take their positions on the track for an egg and spoon race followed by a tug of war contest with a difference! Wincanton's course enclosure will run continuous entertainment for all ages including a traditional Punch and Judy Show, Yeovil Town Football Club ball skills and penalty shoot out and Fergus the Tractor. Heart FM Angels will be on hand to decorate youngsters' faces and there also Fun-tasia - galleon assault course, bouncy castle and rodeo bull plus plenty of stalls to enjoy. The first of seven competitive races comes under starters orders at 2:10pm, with the feature race being the exciting Blackmore Building Contractors Handicap Chase run over two miles. Tickets are available from £12.00 if purchased in advance with a £2.00 increase on the day. 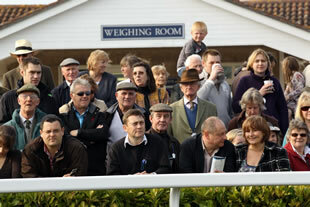 Book now on 0844 579 3014 or visit www.wincantonracecourse.co.uk.